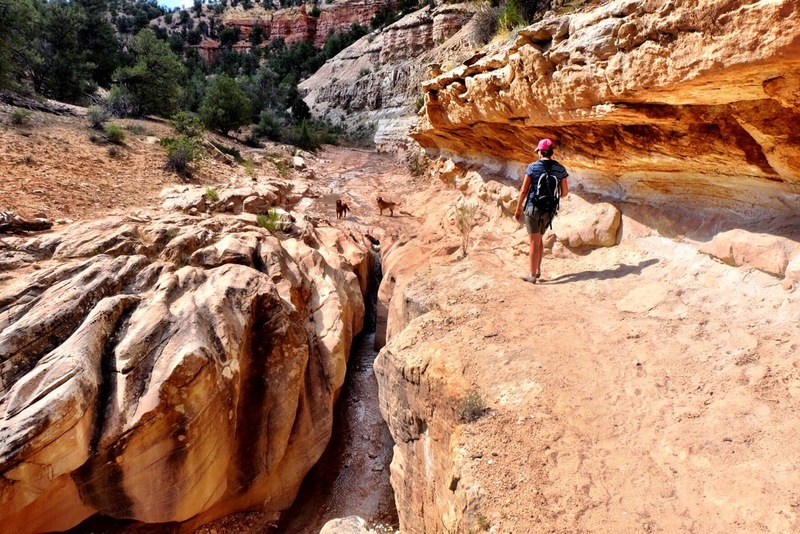 It was really more by accident that we came across the Willis Creek Trail. 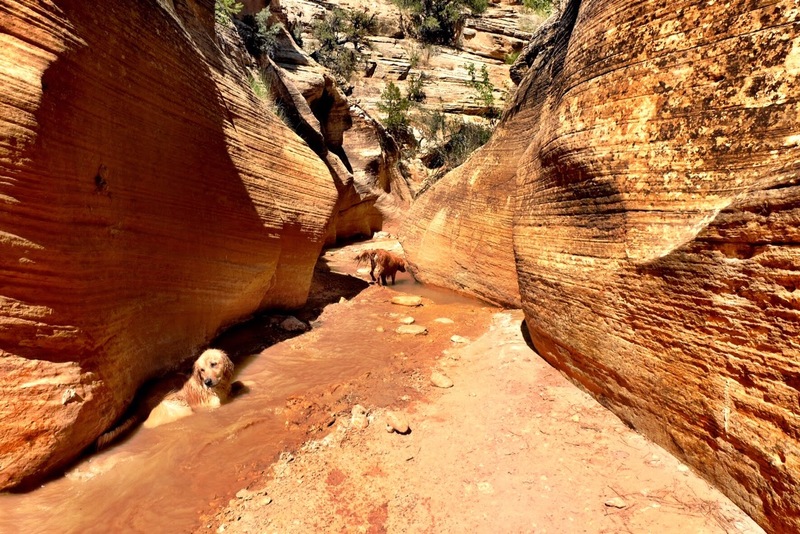 On Pioneer Day morning we were looking for dog-friendly day hikes close to Hurricane, something that would get us out of the hottest day of the year so far, with water for Ginger and Maryann. 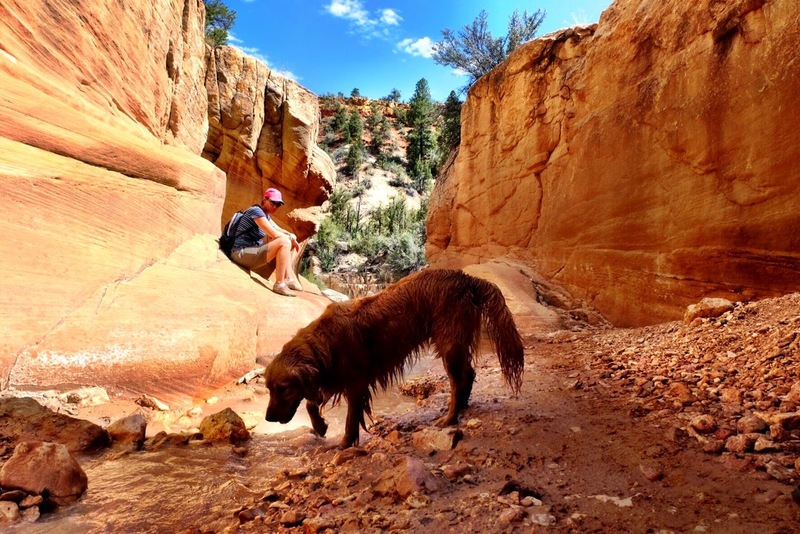 In her search, Mindy found a hiking trail, Willis Creek, near Kolob Reservoir. 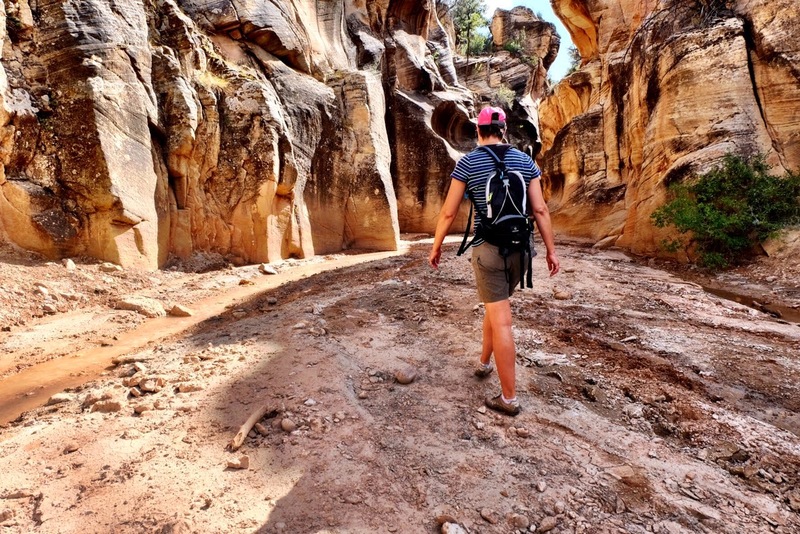 When she went back to search Willis Creek, a different spot came up, this one with the promise of slot canyons. And a bit of pioneer history, it turns out, since Mormon Pioneer, Utah Scapegoat, Colorado Plateau resident, Federal fugitive and Indian Farmer John D. Lee was one who coined the name “Skutumpah,” borrowing a Paiute term meaning “an area where rabbit brush grows and squirrels can be found,” arguably, Skutumpah is much less of a mouthful. In 1866 a group of Mormon pioneers were sent to Green River from St. George to help efforts in the Blackhawk War. They traveled through Johnson Canyon to Cannonville where a few members of the party fell ill and tried to return to Dixie but were attacked by Paiutes along the way, killing Elijah Averett who is buried in a canyon that now bears his name just south of Henrieville. Oh, the stories of the Grand Staircase. 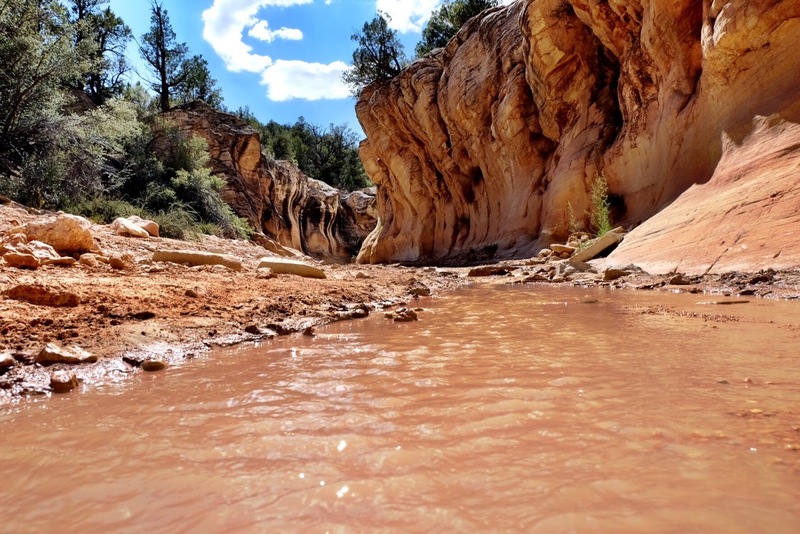 There are three main ways to access Skutumpah Road, the main graded dirt artery to Willis Creek. From the north out of Cannonville take Main Street from Highway 12 south. The road turns into Kodachrome Way that eventually forks to Cottonwood Canyon Road on the east and Skutumpah on the west. 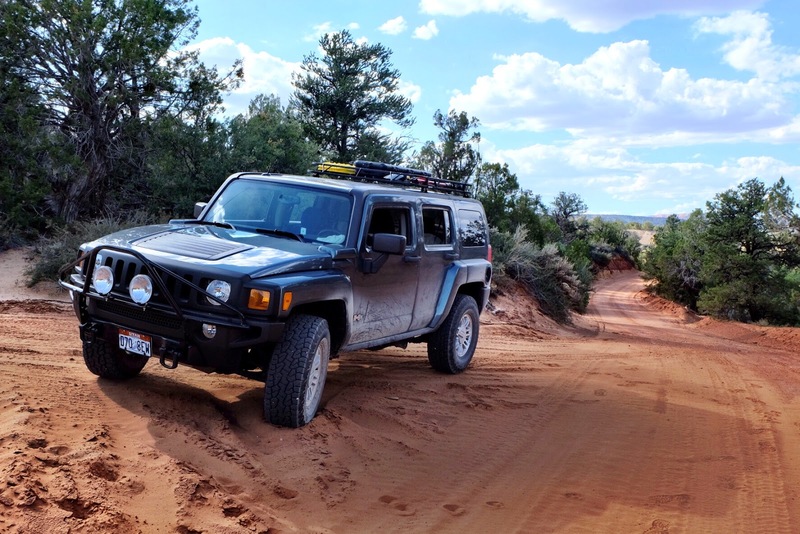 The second is from the south using Johnson Canyon Road out of Kanab. The third route is from the west off of Highway 89, taking 300 North in Glendale (known on Google Maps as Glendale Bench Road, and as BLM 600 on BLM topos). 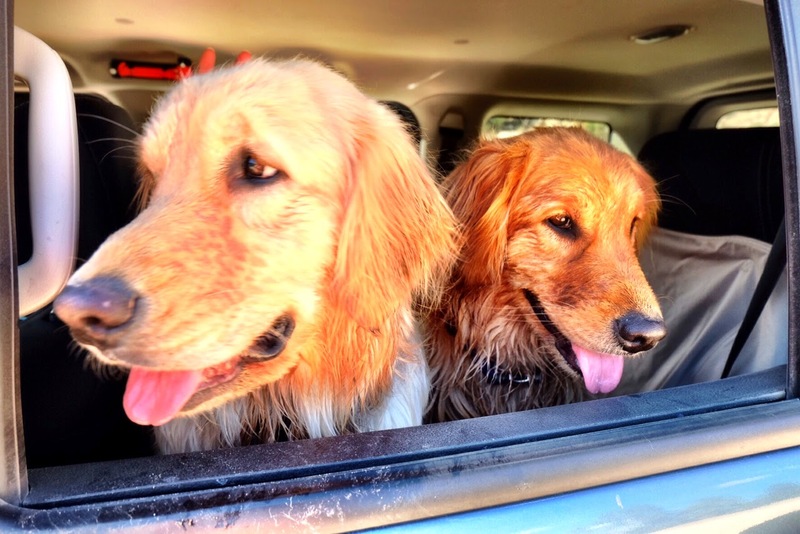 We hydrated our day packs and got the dogs in the truck and left Hurricane and the heat behind. Coming from Zion Canyon we took the Glendale Bench route fifteen miles to the junction with BLM 500, Skutumpah Road and Johnson Canyon Road. Along the way you’re treated to a ribbon of red Navajo Sandstone that traipses along the southern exposed Mesozoic cliffs of Bryce Canyon. A kiosk at this junction provides route and historical information. While Skutumpah goes on for about twenty two miles on smooth grade, much of it bordering private ranch land, it eventually enters the Grand Staircase National Monument where it eventually turns into tight corners and rapid descents into Bull Valley Gorge making passage by anything other than a high clearance SWB vehicle difficult if not impossible. 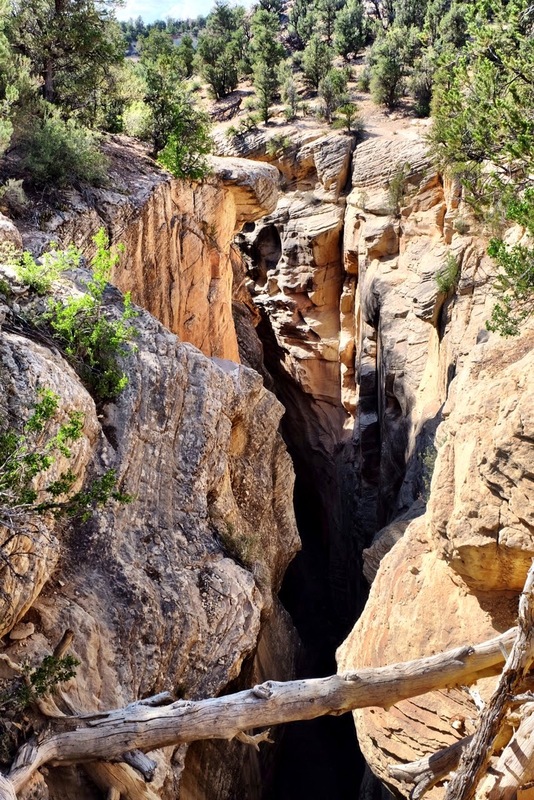 A quick descent takes the road into the Bull Valley Gorge gaping under BLM 500, surprising in its sudden occurrence and depth, perhaps the reason in 1954 when a pickup truck missed the wooden bridge that once crossed this crevice and plunged into the gap killing its three occupants. The remains were recovered with great difficulty but the truck remains down there. The wooden bridge has since been replaced by large boulders and dirt wedged into the gap, though you wouldn’t notice it if you didn’t know otherwise. I’m unconvinced that is any more reassuring. 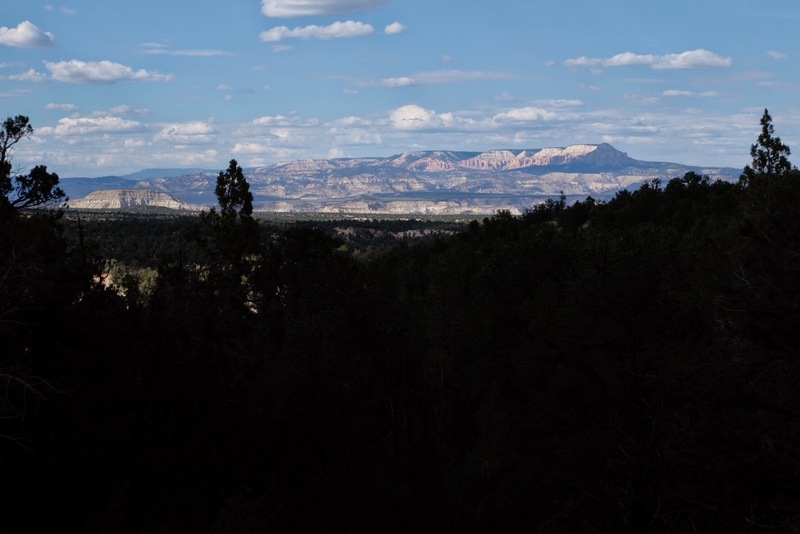 The Skutumpah Road then winds up a ridge where a more pleasant surprise awaits, a vista of Kodachrome Basin and the southern part of Bryce Canyon. The image does it little justice. 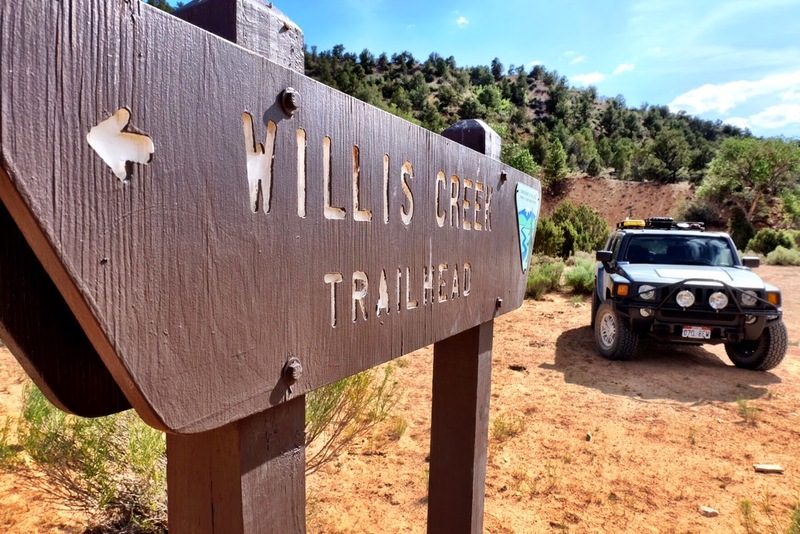 A little under two miles north from the gorge is the trailhead to Willis Springs. 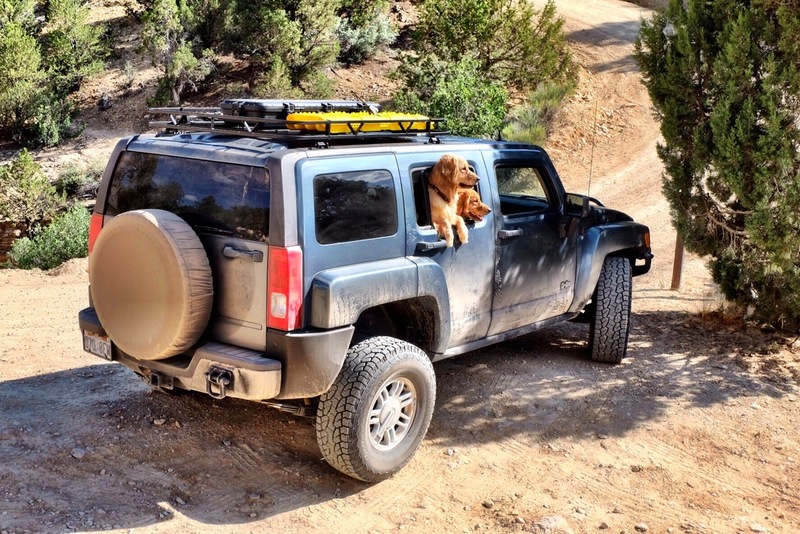 The trail head is across from the parking area and kiosk for Willis Creek Canyon. 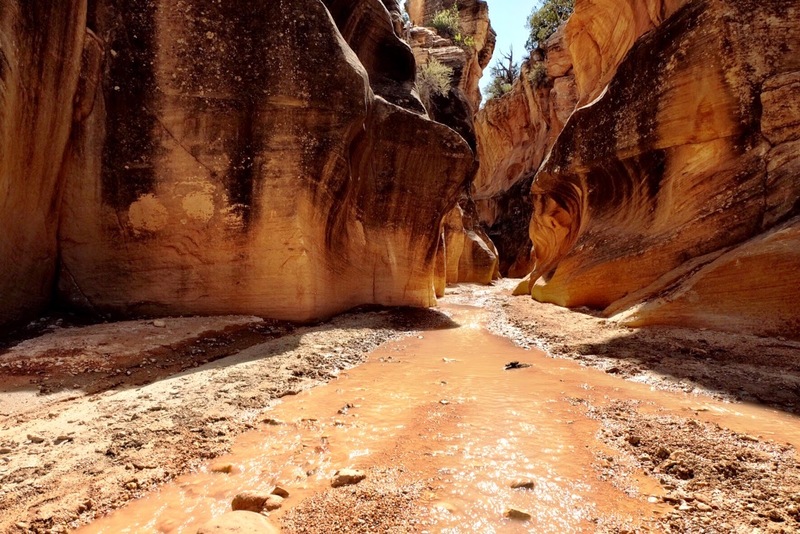 A short jaunt slightly rises and then descends into the canyon where the creek flows with an abundance of light sediment. 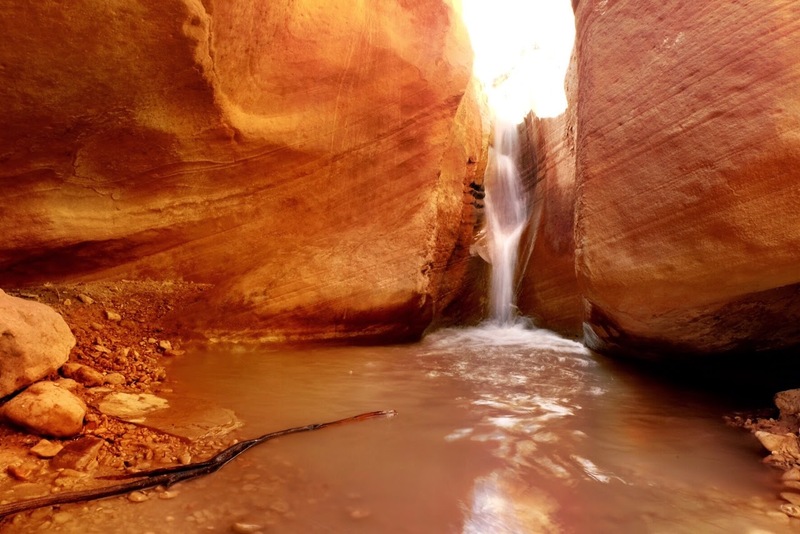 We hiked the easy two miles in, enjoying the shade of the three slot canyons and the expanse of the washout in between and shot most of the images on the way out. Willis Creek descends into a second slot along the trail creating a beautiful little geological feature along the way. 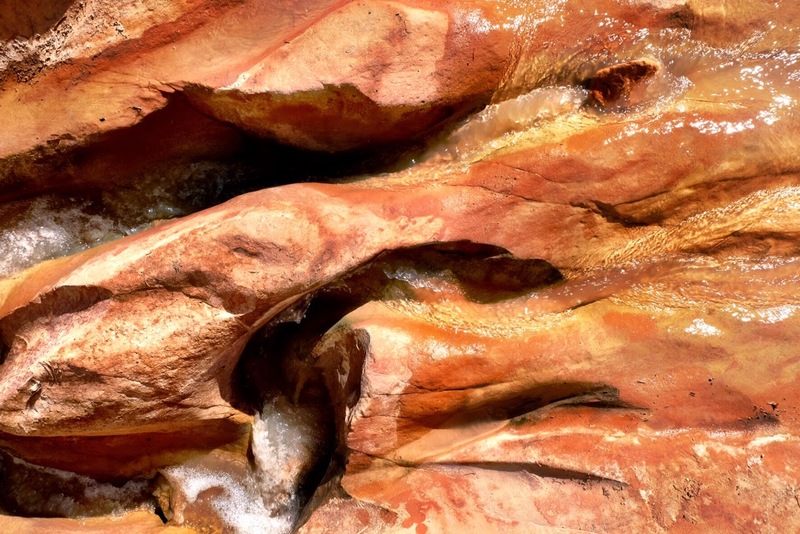 Above is the gnarled erosion at the top of the second slot. The dogs in the image above this one flank this spot. And below is this little waterfall. After the hike we headed back down Skutumpah the way we came instead of driving on to Cannonville. 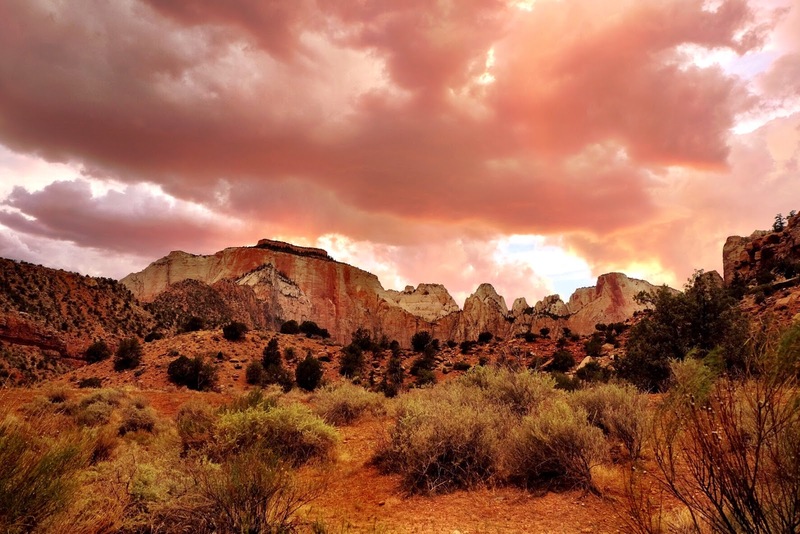 We’ll be back to drive the entire stretch when we travel to Escalante and Hell’s Backbone in August. We stopped for Cobb salads and pie at the Thunderbird Lodge at Mt. Carmel Junction and then back through Zion as a little squall stirred things up a bit and made for a magenta-infused soft light that blanketed all that is wonderful about Zion Canyon. 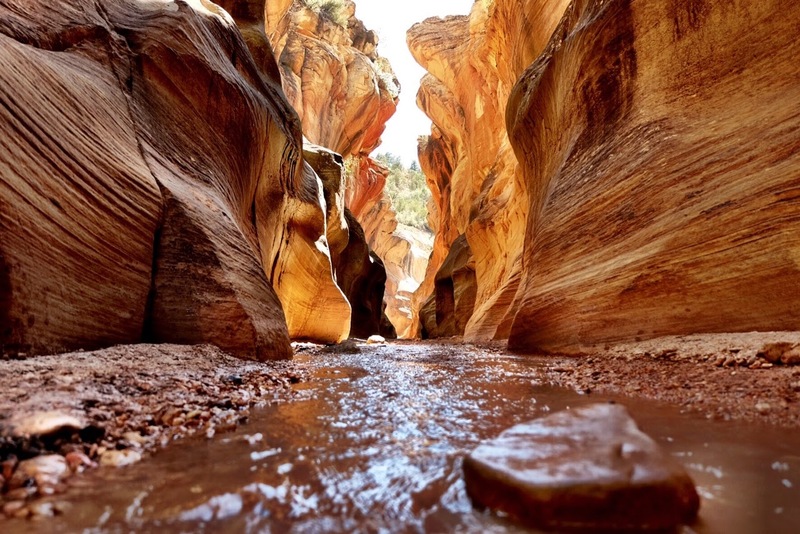 Much of the historical and logistical information for this post is from the book, Utah Trails: Southwest Region, by Peter Massey, Jeanne Wilson and Angela Titus, a must read and glove box companion for any adventurer in this area. This was a thoughtful Father’s Day gift from my kids.